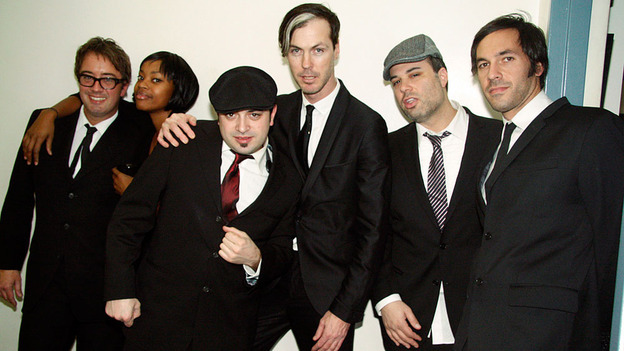 Fitz and The Tantrums is a new soul combo out of Hollywood that has been making a splash among soul fans for a number of months now. Earlier this year they releasde a five-song EP of love gone wrong songs appropriately titled Songs for a Breakup. The EP was accompanied by some great videos and the buzz about the band has been growing ever since. Now they're on the verge of releasing their debut full-length release and it seems they're on the cusp of breaking into the mainstream even. The new album, Pickin' Up The Pieces, includes the EP tracks along with a slew of new originals ranging from the fully orchestrated organ ballad "Tighter", to the moody and super soulful, floor pounding "News For You", to the title track "Pickin' Up The Pieces" which is a catchy, melodious bit of sunny soul-pop. 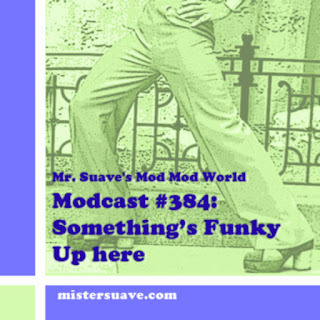 Fronted by soul singer and French ex pat Michael Fitzpatrick, the band delivers sixties influenced soul that is reminiscent of motown sounds of the Temptations, the Miracles, and the Four Tops. Yet, the band has avoided being simply a schmaltzy retro band, due in thanks to their passion for the music, and some very good song crafting. And you can't ignore Fitz's striking lead vocals which are excellently backed up by the velvety voiced Noelle Scaggs. All along the way the band delivers some great organ, drums and horns -- primarily saxophone. Interestingly, there's no guitar which doesn't detract at all from their pitch perfect take on sixties styled soul, but rather keeps the songs light and fresh. Having opened this year for bands like The Specials and Sharon Jones and the Dap Kings, and now with this fabulous new release it seems as if they're on their way to the top. You can get a sneak piece of the new album --due out on Aug. 24th-- on the Fitz and The Tantrums website.